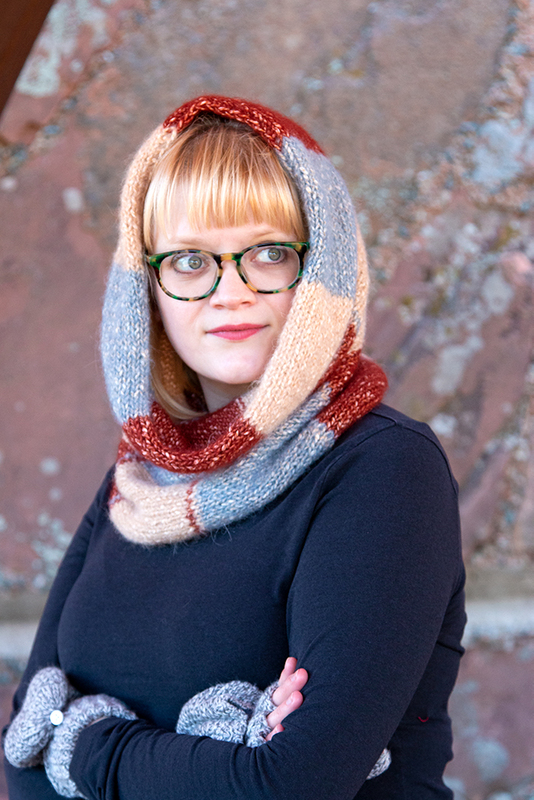 This post is brought to you by Berroco, which also provided yarn support for this design. 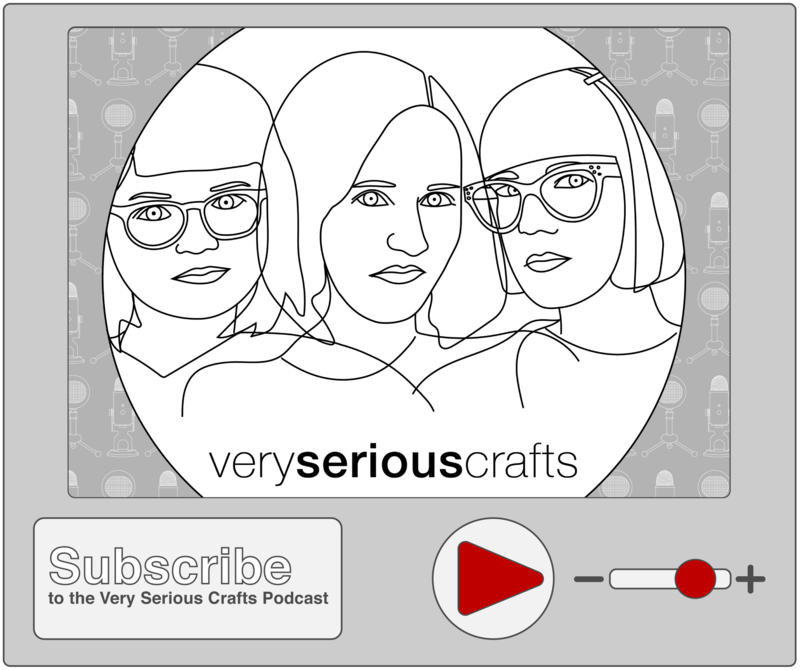 Thank you so much for keeping all of our Hands Occupied! 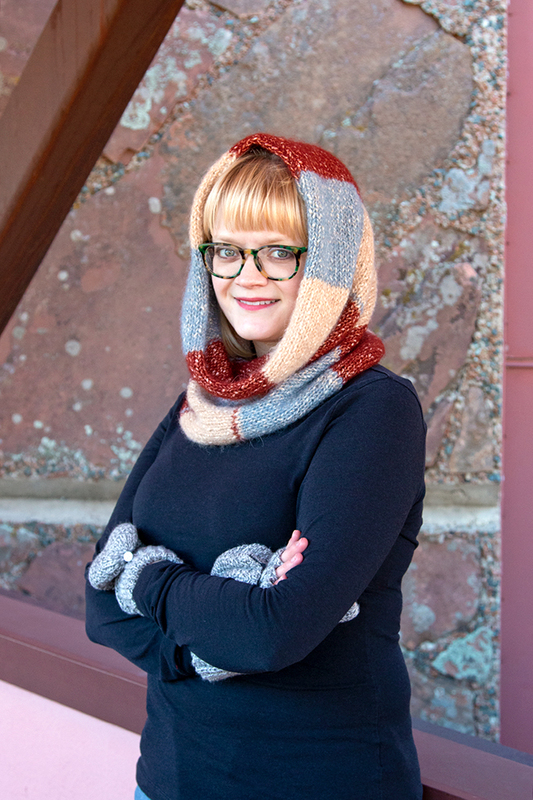 The garment that I find myself getting most use out of every year is almost always a cowl. 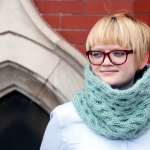 You can wear a cowl starting in early fall, and ride it all the way through to late spring. 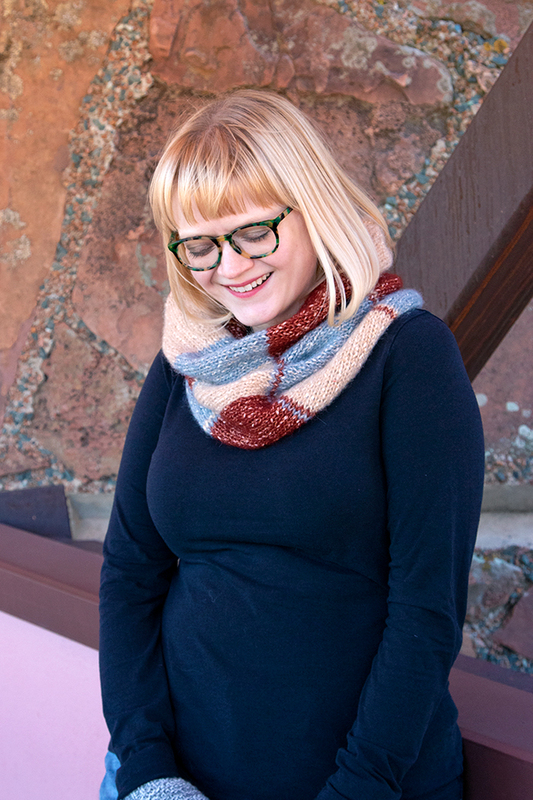 When I got my hands on Berroco’s new yarns for this season, I knew I wanted to use Brielle to create something I could get a TON of everyday use out of. 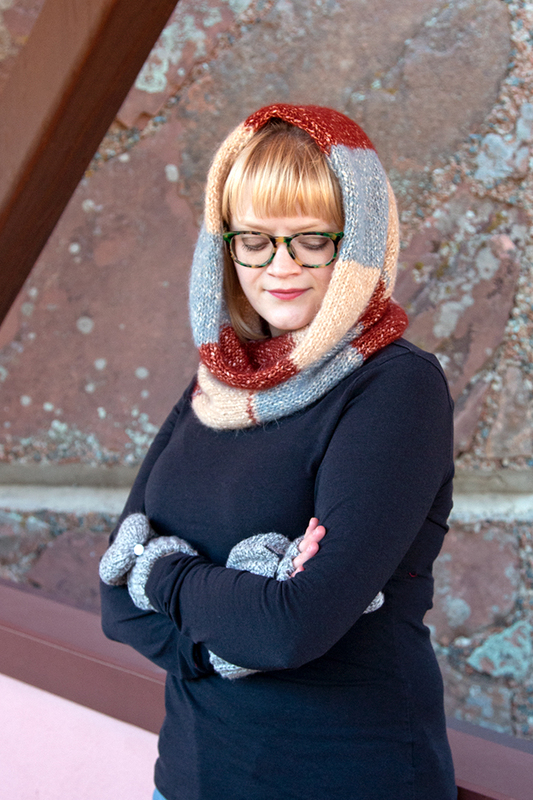 So I thought to myself, “what’s the function I’m always wishing for in a neck accessory, from a practical perspective?” And the answer was a hood! 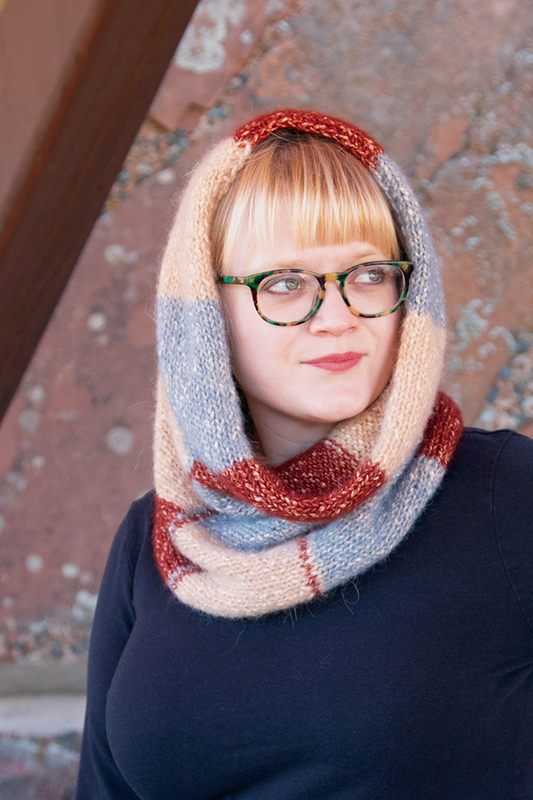 I wanted to design a geometric, easy-to-knit cowl that could double as a hood, so I’d always have it on hand for blustery, urban winters here in Chicago. 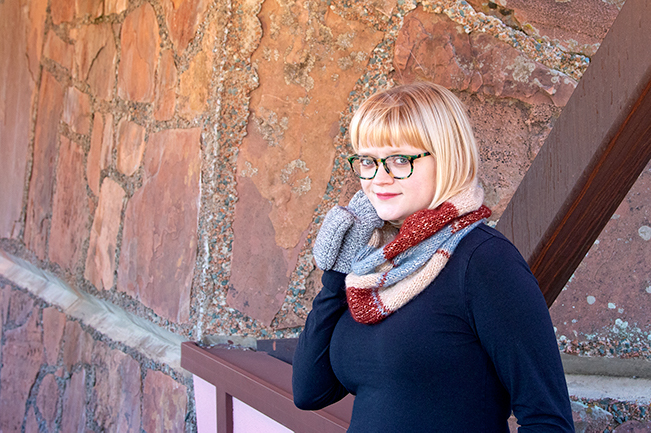 It’s easy to find a lot of cowls that are just the wrong size or weight to easily be worn on the head (and stay up on their own). 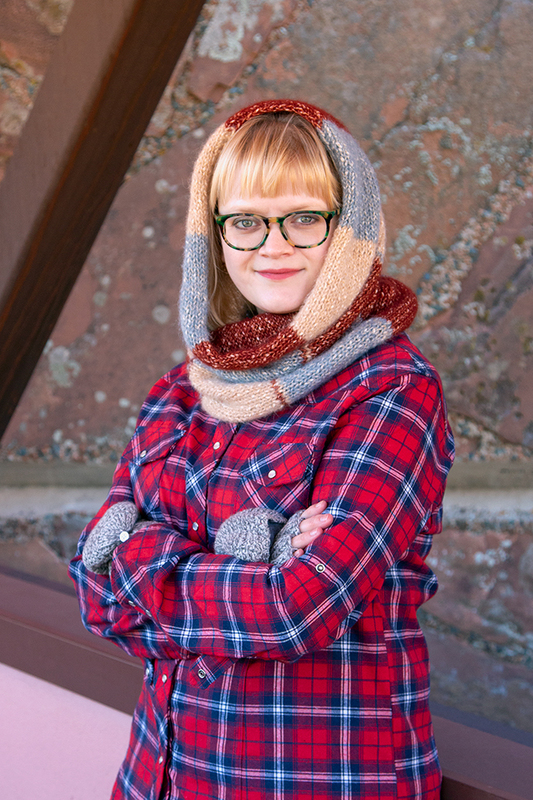 The Checked Snood is a combination of the right weight, fiber, and size to pull double duty all knitwear-season long! 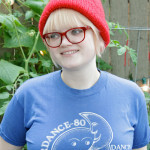 As you might know, I’ve fallen completely in love with knitting intarsia, so I thought doing a free pattern that is accessible for first-time intarsia knitters was in order. 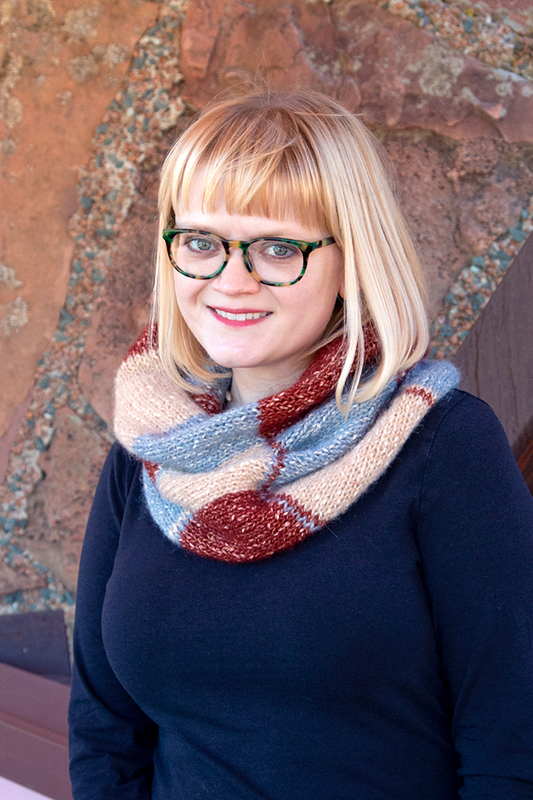 With large, square blocks of three different colors and a few simple lines to create a seamless repeat all around, this cowl can be done up in so many interesting color combinations to help match your entire winter wardrobe. 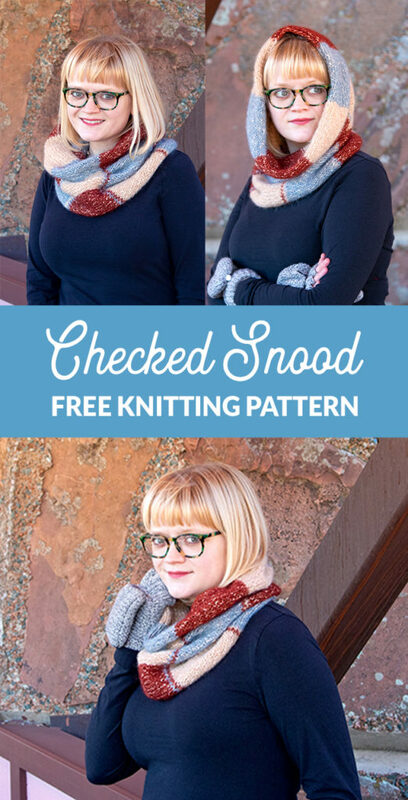 Not only that, the Checked Snood also makes the most of a neat, chain edge that’s intended to curl in to give this relatively simple construction an infinity-like edge around the face and neck. This pattern was updated with detail photos on 11/25/18. 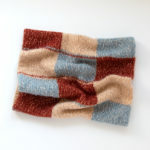 Notes: This snood is knit using a method of colorwork called intarsia, which involves knitting part of a given row of knitting using multiple balls of yarn, but without carrying your yarn at the back of your work (a.k.a. 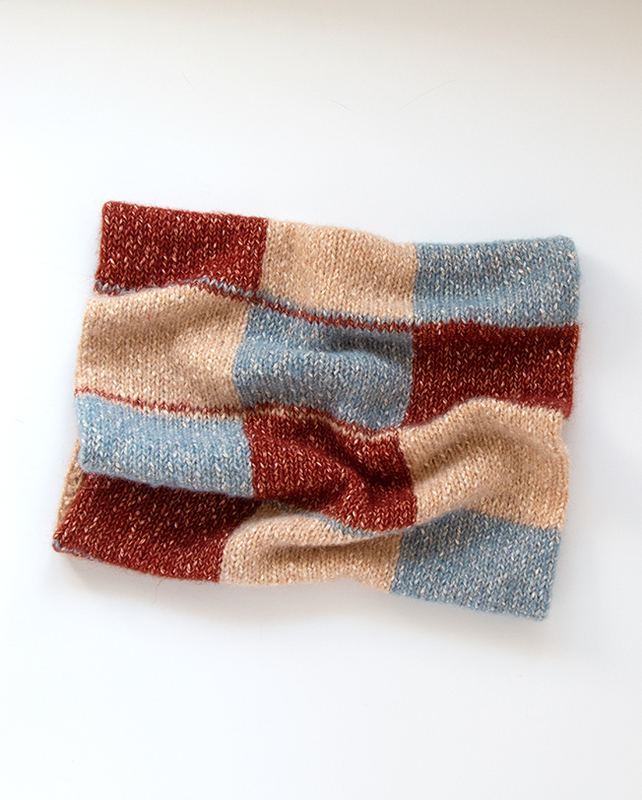 fair isle or stranded knitting). 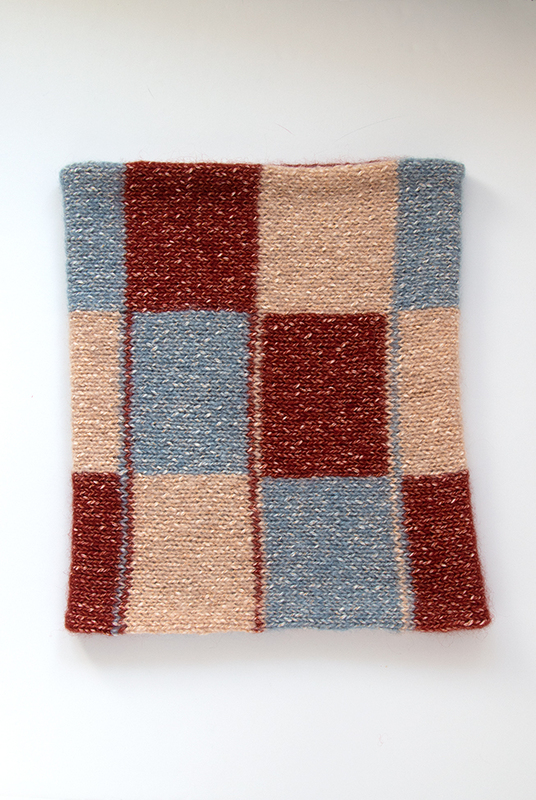 If you are new to knitting intarsia, I would recommend checking out my Intarsia 101 tutorial, including easy-to-follow instructions. 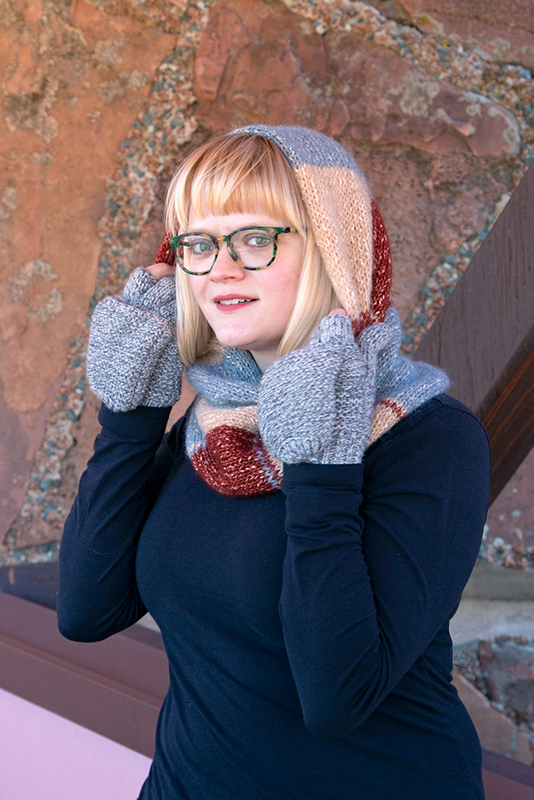 I would also direct new intarsia knitters to the following tutorials: how to estimate & manage yarn tails in intarsia, how to knit intarsia without bobbins, & how to weave in intarsia ends. A provisional cast on is used, please see this post for more about provisional cast ons, and watch this video tutorial for my favorite way to do a provisional cast on. 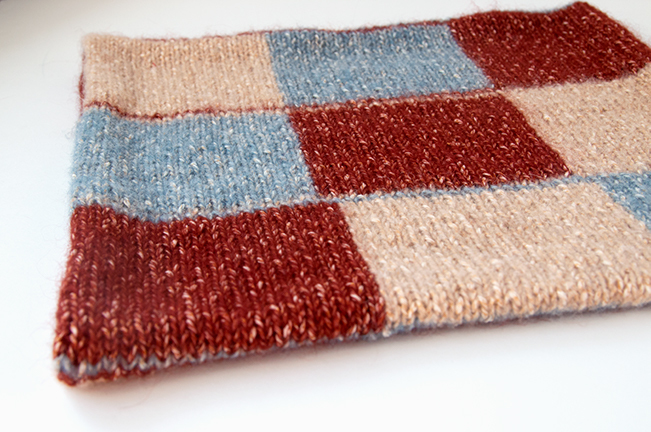 Ends are joined using kitchener stitch (a.k.a. grafting); please see this tutorial for how to work a kitchener stitch. row 1. (WS) Provisional CO 64 sts in Clr A. 2. (RS) sl1 wyif A, k1A, pm, k20A, k20B, k20C, pm, k2C. 3. sl1 wyif C, k1C, sm, p20C, p20B, p20A, sm, k2A. 22. (RS) sl1 wyif A, k1A, sm, p60A, sm, k2A. Break all 3 yarns, leaving a 4-6 inch tail. 23. (WS) sl1 wyif A, k1B, sm, p60B, sm, k2B. 24. (RS) sl1 wyif B, k1B, sm, k20B, k20C, k20A, sm, k2A. 25. sl1 wyif A, k1A, sm, p20A, p20C, p20B, sm, k2B. 44. (RS) sl1 wyif B, k1B, sm, p60B, sm, k2B. Break all 3 yarns, leaving a 4-6 inch tail. 45. (WS) sl1 wyif B, k1C, sm, p60C, sm, k2C. 46. (RS) sl1 wyif C, k1C, sm, k20C, k20A, k20B, sm, k2B. 47. sl1 wyif B, k1B, sm, p20B, p20A, p20C, sm, k2C. 66. (RS) sl1 wyif C, k1C, sm, p60C, sm, k2C. Break all 3 yarns, leaving a 4-6 inch tail. 67. (WS) sl1 wyif C, k1A, sm, p60A, sm, k2A. 68. (RS) sl1 wyif A, k1A, pm, k20A, k20B, k20C, pm, k2C. 69. sl1 wyif C, k1C, sm, p20C, p20B, p20A, sm, k2A. 88. (RS) sl1 wyif A, k1A, sm, p60A, sm, k2A. Break all 3 yarns, leaving a 4-6 inch tail. Repeat sections 1-2 one more time. 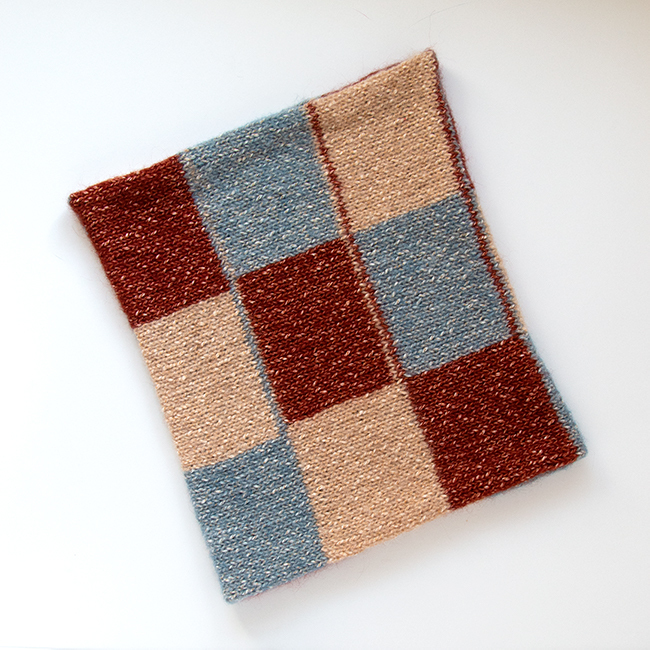 BO all sts using a kitchener stitch and Clr A. Weave in all ends and wet block to finish. Wonderful pattern. Would have liked a picture of it stretched out, before joining to see color pattern. I agree! My grandmother has been in the ICU for two weeks, so when I have a chance, I’ll add some detail shots. This pattern is so pretty. 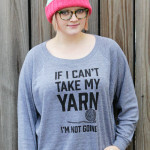 I will start knitting as soon as i can b uy the yarn. Thank you.